Do you want a no-charge introductory guitar lesson? Are you a beginner and don’t know where to start? Are you frustrated with the self-learning videos or books? Are you stuck with a teacher who is not providing you with what you want? If yes is your response, keep reading as I’ve helped hundreds of students learn how to play the guitar successfully, helped others with missing knowledge, technique, answering any music problems they’ve had. My name is Jason Just and I’m a full-time guitar teacher of seventeen years teaching all styles of guitar. Need Help Learning the Guitar? Do you want a free introductory lesson? If you’re just beginning to learn and want to develop your existing skills further, the right teacher will mean success or disaster. Choose wrongly and you’ll waste time, money, and maybe lose interest in the guitar. Here at Wellington Guitar School we offer an introductory guitar lesson at no charge so you can instantly determine if our lessons are right for you without enormous expense. 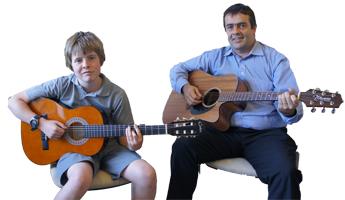 Do you want the best value for money guitar lessons in the Wellington? I guarantee you will receive the best value-for-money lessons in the Wellington, so much so all new students get a full money-back GUARANTEE for the first month, no strings attached. As someone learning you are putting your trust in an educator’s hands and you need to know you’ve chosen the right one. 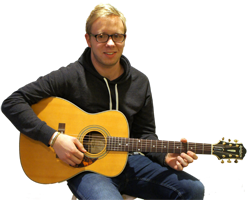 Our GUARANTEE, with no-charge introductory Lesson take away the risk of finding a guitar teacher. Call NOW if you want results, saving time and money and avoiding frustration. There is much self-learning material and advice out there on the internet; friends, music stores, amateur teachers. It can be overwhelming learning by yourself. Where do you start and who do you trust? I’ve successfully taught hundreds upon hundreds of beginners with no little or no musical experience or “talent”, check out the Testimonials for some of their own words. If you’re a beginner or someone trying to develop your existing skills with internet video lessons or self-teaching books have you found it a slow and costly process? Do you click on a video tutorial and another one of the same song and find both are taught totally differently? Just like an athlete excels when they have a coach a guitarist also benefits from outside instruction. How can you fix what you don’t know? How can you see what might be holding you back? At Wellington Guitar School we specialise in solving guitar problems and speed up your learning. Are you learning with a teacher who is teaching you music you don’t like? This is quite a common experience and I can guarantee that here at Wellington Guitar School you will learn the music and styles you want to play and learn them correctly, as well as developing essential elements to let you play any style of music. 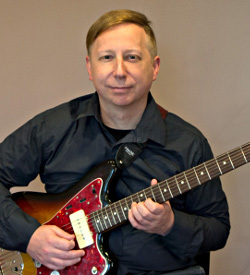 A specialist in teaching all levels of guitarists. The feedback provided on your development helps you correct bad habits or expand existing techniques quickly and smoothly. You will find an experienced teacher who will listen to what you want to achieve and help you achieve them. All styles of music are taught, both electric and acoustic guitar in country, blues, rock, jazz, fingerstyle, as well as musical improvisation. Video and audio recording of your progress. I provide a professional and clean commercial studio, with full facilities without distraction. Seminars, jam sessions, and other group activities are actively held for all students. The decision to find a good guitar teacher will be one of the most important aspects of your life as it can spell success or failure. 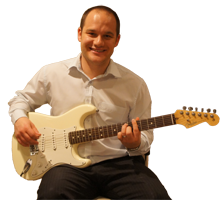 If you want to save time and money, call Jason for the best value-for-money guitar lessons in the Wellington. 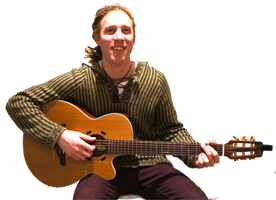 "Before I started lessons with Jason I tried to teach myself through YouTube and Guitar Tabs and I had very little success and was not improving swiftly... You will be surprised at how quickly you improve and most importantly how much fun you will have. I've absolutely no regrets since taking lessons with Jason "
"Before coming to Jason I could not play a full song, only the main riffs of songs. I've been coming to lessons with him now for six months and my playing has improved a hundred times." "Prior to coming to him I just was not progressing at all and had slipped into bad habits. I only picked up my guitar occasionally and hadn't had a teacher for many years. Jason is light years ahead of the two incompetent teachers we had had." Online Videos Not Helping You Learn the Guitar?